You might not have any idea just how advantageous it can be to use a dry cleaning business for your household item and garment cleaning. 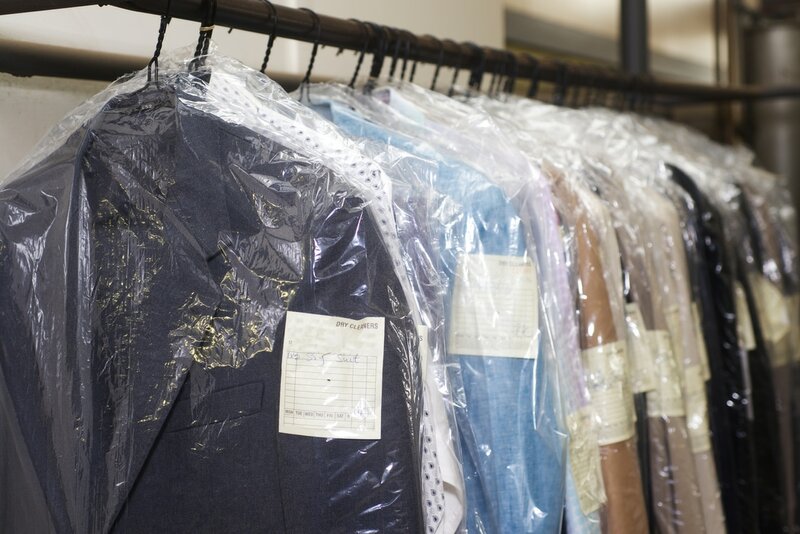 As a matter of fact, many individuals are not even aware of just how much their local dry cleaners can possibly do. Many dry cleaning services are no doubt around your community to make life simpler for you, but nothing happens until you have a dry cleaning business that you personally trust. The biggest advantage to using any dry cleaner is also the most common one, and that's just the convenience of saving time. You spare yourself the hours and energy you'd put into washing, drying, sorting, folding, and ironing your clothes. A dry cleaner is a valuable tool since it frees up time for your to emphasize other things throughout your day. A dry cleaning business does not just clean clothing. You can bring in pillowcases, sheets, duvets, blankets, comforters, and bedspreads to have them cleaned and feel like new. We can clean all your bedding, or any other fabric for that matter, and do so at a very economical price point. These are just a few of the many advantages you get to enjoy when you do business with a community dry cleaning business for your laundry and cleaning needs. Making use of a dry cleaner is an effective choice if you have stains that you need removed from fabrics or other materials. We use proper equipment and techniques to rid your possessions of stains, be they chocolate, ink, wine, or oil. Each stain needs its own kind of treatment, and our staff of dry cleaning professionals know just what each stain needs to get resolved. Our business uses the appropriate hardware and techniques to work with otherwise cumbersome fabrics such as silk, seersucker, and microfiber. Each fabric requires special care and dry cleaning treatment. Our experts have proven themselves time and again in handling different garments and fabrics and enjoy tremendous experience in providing you fabric care. In addition to being careful, using our service also means that your items are cleaned thoroughly. Our business is certified as one that employs cleaning detergents that are safe, gentle, and environmentally friendly. We use these to make sure that your clothes look like new with rejuvenated textures. Our quality cleaning also frees them of odors. We guarantee the safety of your items, so believe us when we say that your garments and clothes are safe when in our hands. Our mindful staff members make sure that you get back each piece of your clothing that you drop off for cleaning. We do more than high-caliber cleaning, drying, sorting, ironing, and folding, as we also offer delivery service to our clients. We'll even give our business customers a customized express bag that you can use for future visits. If your clothes have mildew, soot, odor, or grime, we can remove that. We are highly experienced in cleaning garments and even other items that might have suffered water damage, fire damage, or mold. We have specialized expertise in cleaning many fabrics, including rugs and draperies, that might need restoration. Our staff is impeccably trained and uses very efficient machines. Robust training, processes, and technology are what drive our operations. We give you nothing short of the best textile restoration options around. The tools and staff we have mean that no restoration project is too much for us, be it suede, sequined garments, purses, leather, stuffed animals, draperies, valances, cornice boards, and even shoes. We have many years of experience cleaning everything from suede garments to wedding dresses, and we offer our services to clients both residential and commercial. Contact us immediately with your needs, and we'll reach out to you quickly about our affordable options.